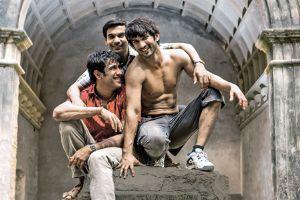 Kai Po Che, directed by Abhishek Kapoor, will see cricketers Ashish Nehra, Zaheer Khan and Ajay Jadeja take to the field for a four-city promotional tour this month. The event, which will take place in New Delhi, Bangalore, Ahmedabad and Mumbai, will involve the three professional cricketers along with the cast and crew of the film, playing against local teams from these cities. Delhi is Ashish’s home town and as Ajay is also from the north, they will be playing the matches in the capital. Zaheer will join the cast and crew in Ahmedabad. But the makers are currently trying to convince them to play in Mumbai as well. What’s more, the team of the film wants to be well prepared for the matches. So, they have even asked left-hand fast bowlers Ashish Nehra and Zaheer Khan to train actor Sushant Singh Rajput, who plays the part of a cricketer in the film. Former cricketer Ajay Jadeja also makes a cameo appearance in the movie. Abhishek Kapoor is also likely to play in each of the promotional games. 21 queries in 0.577 seconds.